What is a Kombucha Brewery? Kombucha brewery – The hot side of the kombucha brewery (also called a “brewhouse”) is used to heat water, where black or green tea, infused with sugar, renders the nutritional elements used by scoby to create kombucha. From the kombucha brewery, the resulting sweet tea is cooled to just over room temperature and transferred to the kombucha fermenter. Kombucha fermenter – The kombucha fermenter is where bacteria and yeast in the scoby use the nutritional content in the tea to create kombucha. Kombucha finishing tank – In commercial kombucha breweries, a third vessel, the kombucha finishing tank (sometimes called a “brite tank”), is often used to finish the kombucha with a combination of flavorings, secondary fermentation, and carbonation before packaging the finished product. Why Select a PKW Kombucha Brewery? 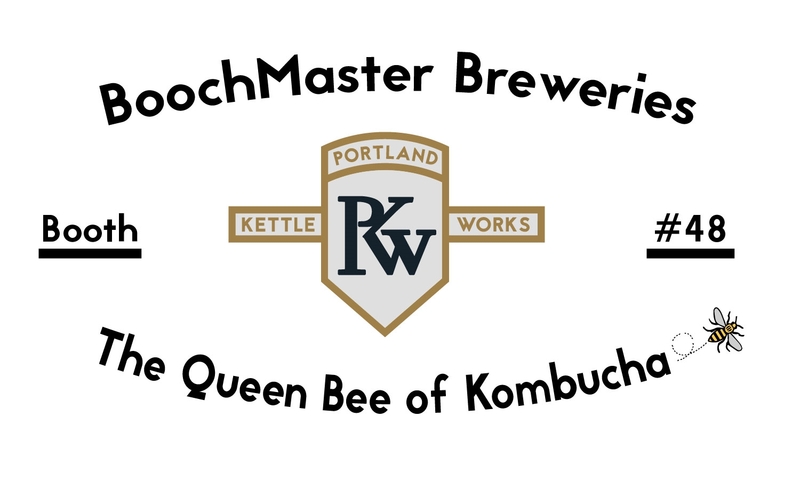 BoochMaster Kombucha Brewery is the world’s first brewhouse engineered specifically for the production of kombucha. 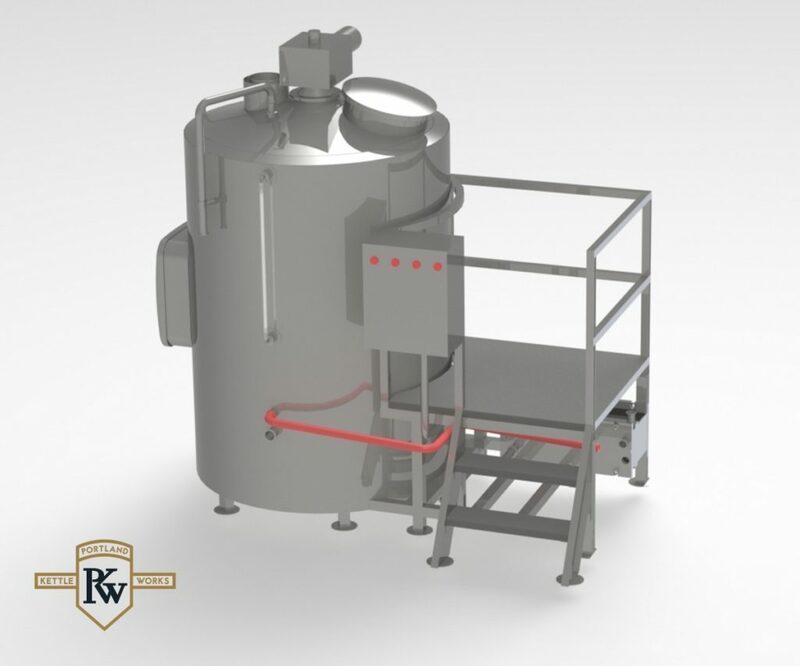 The PKW BoochMaster is the culmination of our experience producing hundreds of HopMaster Brewhouses for the craft beer industry since 2011. Our HopMaster has become the industry standard, and is used to innovate recipes and deliver repeatable results for award winning breweries, large and small, worldwide. We have leveraged our experience in process engineering and fermentation management to provide tools that reduce your startup and expansion risks, and help to insure your success. Safety is a key component of any brewery. Over generations of design, PKW has seamlessly integrated safety features like clean-in-place (CIP) facilities, modulating pump and transfer systems, emergency shut down systems, and UL listed 508A componentry into every system we design, build, and ship from our American manufacturing facility located in Portland Oregon. Every PKW kombucha vessel is equipped with our proprietary CIPMaster clean in place (CIP) technology. CIPMaster allows your brew crew to effectively and efficiently clean every vessel in the brewery. Nobody should ever have to enter a tank or vessel to clean it. OSHA regulations make dangerous, confined space entry both time-consuming and expensive. With PKW’s CIPMaster, confined space entry is totally eliminated, as vessels are scoured clean by simply pumping cleaning solution through our engineered CIP apparatus installed on every vessel we manufacture. Safety and sanitation are seamlessly managed in one simple operation. 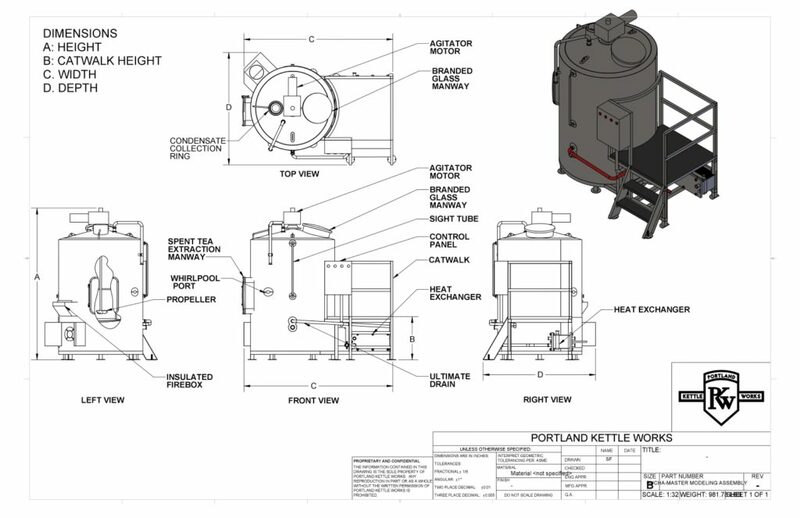 Every step of the way, your brew crew will process at optimal flow rates, volumes, and temperatures, making repeatability and consistency a hallmark of your brand. PKW has mastered temperature control. Precisely heated or cooled water (called “liquor” in manufacturing operations) is conveniently mixed and measured using our proprietary sensor read, flow, and temperature control manifold assembly. We replace guesswork with simple, easy to use automation features that assure repeatability and precision in the brewing process. Temperature control is completely integrated into our BoochMaster kombucha brewhouses, fermenters, and carbonation systems. The product of steeping, produced in the BoochMaster brewhouse, is instantly cooled and maintained at optimal fermentation temperature until the desired pH band is obtained. Our optional pHMaster sensing and control system allows the brewer to preset the pH band to either notify the brewer automatically that the desired pH has been reached or to auto-cool the tank preventing over-fermentation. Convenience and repeatability are the goal and PKW’s pHMaster is designed to put winning results at your fingertips.